Do you know of any Pools in Sint Maarten that need to be listed here? Contact us!. If you might be searching for Sint Maarten Pools, it's good to know lots of of them belong to gyms or sports centers which also offer lessons. Get informed by calling the premises. 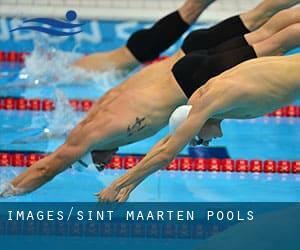 The finest choice throughout your visit to Sint Maarten will probably be droping by a Sint Maarten Swimming Pool. Please have a look at the pools swimmers like you have got reported near Sint Maarten. Please, report any Sint Maarten Swimming Pool not listed here. Please use the contact information provided at each and every pool profile to check if they're providing aquagym lessons, simply because is just not so popular to determine an Aquagym in Sint Maarten. Please make contact with the sports center in Sint Maarten to check which activities are being offered and their timetables, since Sint Maarten Pools may have different rules and fares than other locations. One with the benefits of outdoor swimming in Sint Maarten may be the possibility to sunbathe during the summer season. Taking it with extra care, sunbathing is wholesome since introduces Vitamin D into the body, so the most beneficial option seems to be switching between indoor and outdoor pools depending on the season. Let us let you know a secret to switch off whilst you might be in Cul de Sac: just pick out a Pool in Cul de Sac and plunge into the water! There's no extra helpful method. It's difficult to visit Sint Maarten without dropping by Philipsburg (with 1.400 residents). Currently Swimia is showing you all the Swimming Pool in Philipsburg and the closest pools located in its vicinity. Updated on 2019 Sea Island Cotton Road , Cole Bay , Sint Maarten (Saint Martin) , NETHERLANDS ANTILLES. Swimmers like you reported 25 meters, 6 lanes, 1.8 meters uniform depth, 1.8 meters uniform depth, Outdoors. Phone number and e-mail address are number for this Pool.